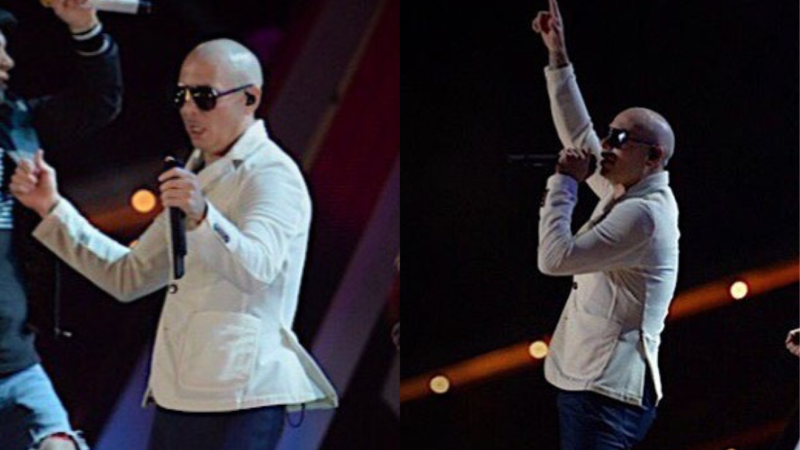 Mr. Worldwide started rehearsing for Pitbull’s New Year’s Revolution this evening at Miami’s Bayfront Park. Pitbull was seen rehearsing alongside Austin Mahone, Ape Drums, Steven A. Clark, LunchMoney Lewis, and of course, The Most Bad Ones. The other legendary performers, including Nelly and Salt-N-Pepa also rehearsed for PitbullNYE. The stage design for PitbullNYE looks amazing! It’s made up of thousands of LED lights, where even the stage floor has LED lights on it! Take a look at photos and videos from rehearsals below, and don’t forget to tune into FOX tomorrow at 11pm to ring in the New Year with Pitbull!